Why is NASA's Commercial Crew Program to develop private human transport ships to low Earth orbit important? That's the question I posed to NASA Administrator Charles Bolden when we met for an exclusive interview at NASA Goddard. The Commercial Crew Program (CCP) is the critical enabler "for establishing a viable orbital infrastructure" in the 2020s, NASA Administrator Charles Bolden told Universe Today in an exclusive one-on-one interview at NASA's Goddard Space Flight Center in Greenbelt, Md. Bolden says NASA wants one of the new American-made private crewed spaceships under development by SpaceX, Boeing and Sierra Nevada – with NASA funding – to be ready to ferry US astronauts to the International Space Station (ISS) and back to Earth by late 2017. 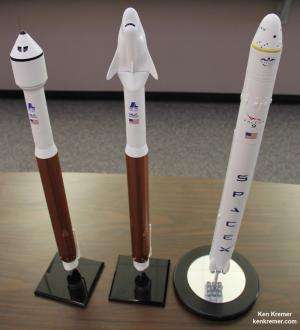 Flights for other commercial orbital space ventures would follow later and into the next decade. Since the shutdown of NASA's space shuttle program following the final flight by STS-135 in 2011 (commanded by Chris Ferguson), America has been 100% dependent on the Russians to fly our astronauts to the space station and back. 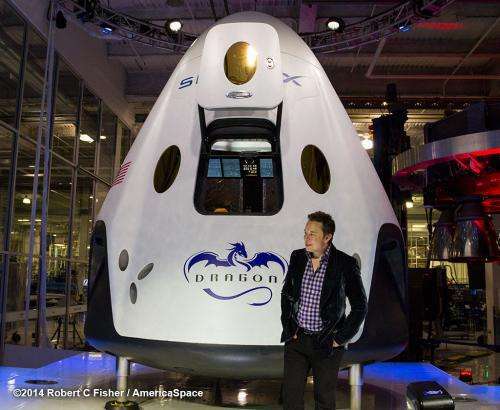 "Commercial crew is critical. 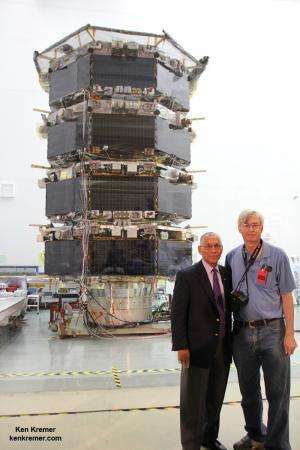 We need to have our own capability to get our crews to space," Bolden told me, during a visit to the NASA Goddard cleanroom with the agency's groundbreaking Magnetospheric Multiscale (MMS) science probes. "There are going to be other commercial stations or other laboratories," Bolden excitedly told me. "Commercial Crew is critical to establishing the low Earth orbit infrastructure that is required for exploration." "We have got to have a way to get our crews to space." "You know people try to separate stuff that NASA does into nice little neat packages. But it's not that way anymore." Bolden and NASA are already looking beyond the ISS in planning how to use the new commercial crew spaceships being developed by SpaceX, Boeing and Sierra Nevada in a public- partnership with NASA's Commercial Crew Program. "Everything we do [at NASA] is integrated. We have to have commercial crew [for] a viable low Earth orbit infrastructure – a place where we can do testing – for example with what's going on at the ISS today." "And in the out years you are going to be doing the same type of work." "But it's not going to be on the ISS." "After 2024 or maybe 2028, if we extend it again, you are going to see the people on commercial vehicles. There are going to be other stations or other laboratories." "But there won't be NASA operated laboratories. They will be commercially viable and operating laboratories." Private NewSpace ventures represent a revolutionary departure from current space exploration thinking. But none of these revolutionary commercial operations will happen if we don't have reliable and cost effective human access to orbit from American soil with American rockets on American spaceships. "We need to have our own capability to get our crews to space – first of all. That's why commercial crew is really, really, really important," Bolden emphasized. "Right now we use the Russian Soyuz. It is a very reliable way to get our crews to space. Our partnership with Roscosmos is as strong as it's ever been." "So we just keep watching what's going on in other places in the world, but we continue to work with Roscosmos the way we always have," Bolden stated. The latest example is this week's successful launch of the new three man Russian-US- German Expedition 40 crew to the ISS on a Soyuz. I asked Bolden to assess NASA's new funding request for the coming fiscal year 2015 currently working its way through Congress. "It's looking better. It's never good. But now it's looking much better," Bolden replied. "If you look at the House markup that's a very positive indication that the budget for commercial crew is going to be pretty good." "No Bucks, No Buck Rogers," Chris Ferguson, who now leads Boeing's crew effort, told me in a separate exclusive interview for Universe Today. 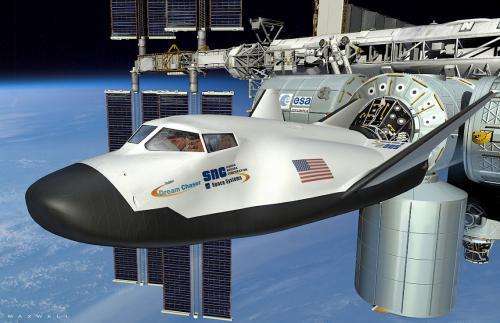 The Boeing CST-100, Sierra Nevada Dream Chaser and SpaceX Dragon 'space taxis' are all vying for funding in the next round of contracts to be awarded by NASA around late summer 2014 known as Commercial Crew Transportation Capability (CCtCap). 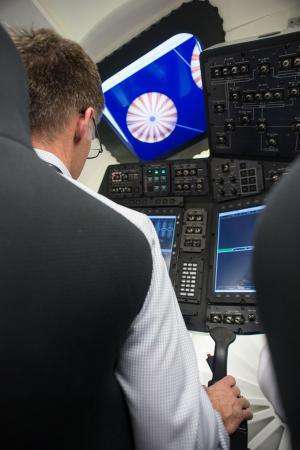 All three company's have been making excellent progress in meeting their NASA mandated milestones in the current contract period known as Commercial Crew Integrated Capability initiative (CCiCAP) under the auspices of NASA's Commercial Crew Program. Boeing's Chris Ferguson told me that assembly of the CST-100 test article starts soon at the Kennedy Space Center. In order to certify the fitness and safety of the new crew transporters, the CCtCAP contracts will specify that "each awardee conduct at least one crewed flight test to verify their spacecraft can dock to the space station and all its systems perform as expected." "We need to have our own capability to get our crews to space. Commercial Crew is critical to establishing the low Earth orbit infrastructure that is required for exploration," that's the bottom line message from my interview with NASA Administrator Bolden. Stay tuned here for Ken's continuing SpaceX, Boeing, Sierra Nevada, Orbital Sciences, commercial space, Orion, Mars rover, MAVEN, MOM and more planetary and human spaceflight news.